It is the start of the summer holidays and frazzled, over worked parents are trying to balance work and children. Tired grandparents are trying to step in and help and the rest of the population is over worked, ridiculously hot and starting to get slightly irritable. This is why self-care at this time of year is just as important, if not more, as during colder winter months. Sometimes it is about taking just a moment for yourself. Letting the hum drum noise of barking dogs, shrieking children and the drone of the lawnmower (from the person who insisted on watering their grass despite an imminent hosepipe ban) wash over you and simply being. We have teamed up with another two companies to allow you to do just that. There is something really rewarding about collaborating with like-minded people. It makes it even more special when those people are local businesses run by women who like us have set out on a mission to make our world just that little bit better. 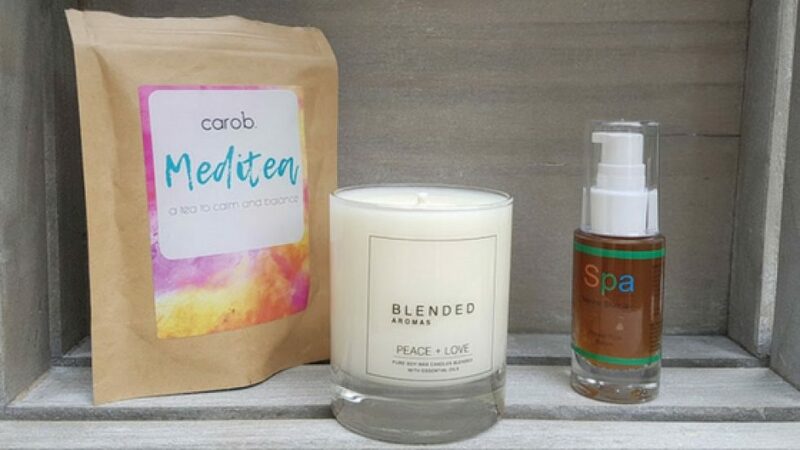 On our Instagram page for two days only there is a competition where we have collaborated with Blended Aromas candles and Made by Caro B to give you a box of treats to allow yourself that time out to recharge both mind and body. 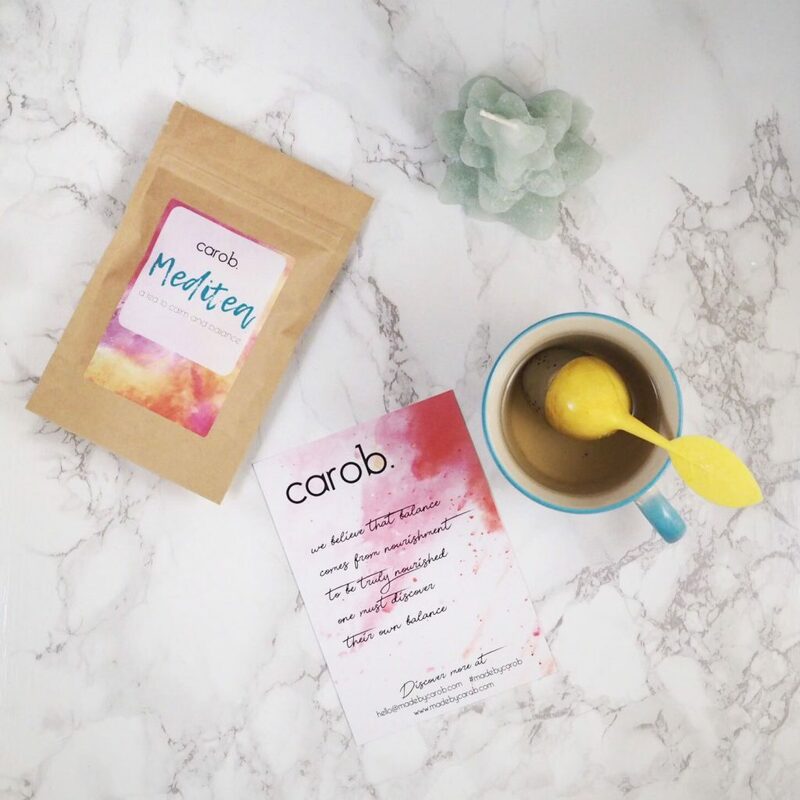 Meditea, created by founder Caro B, is a caffeine free herbal drink designed to calm and balance. It is an infusion of lemongrass, peppermint and lavender which leaves you feeling lifted, light and calm. Caro is a huge believer in leaving the world a better place and all tea is packaged in fully recyclable materials. Blended aromas are 100% natural candles that are handmade using vegan friendly soy wax and essential oils. Whilst creating a lovely fragrance you get the benefit of aromatherapy oils being infused into your surrounding space. 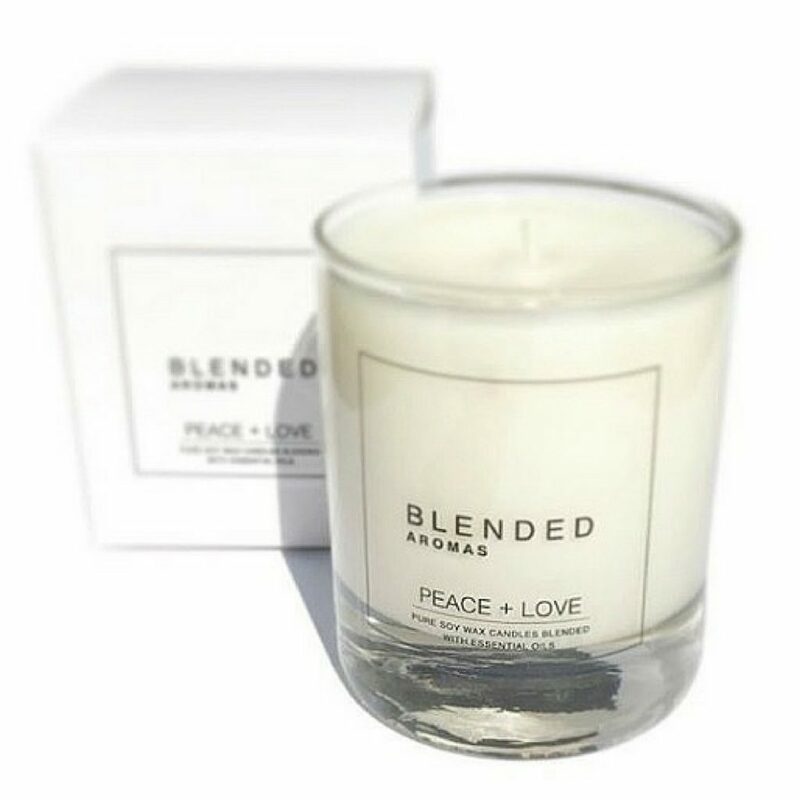 Their Peace and Love candle contains a blend of ten essential oils; ylang ylang to boost mood and reduce stress, geranium to promote emotional wellness, juniper and patchouli to aid depression and anxiety, lemongrass to soothe headaches, frankincense to aid respiration, petitgrain to lift mood, vetiver to calm anxiety and finally lavender to calm the mind. Spa Technologies UK award winning Flower Peel Serum is a multi-functional anti-inflammatory concentrate of hibiscus flower acids and green tea acids fortified with salicylic acid. This vegan approved organic peel comes in a seaweed-based gel which prevents skin irritation. Designed to exfoliate, correct minor skin issues such as hyper-pigmentation and nourish and protect with its powerful antioxidant action Flower Peel Serum proves a very popular product from within the hero range. All three of these are available as a collaborative giveaway. All we ask you to do is visit our Instagram page. Like our page, like our photo, tag a friend in the comments box and then like both @madebycarob and @blendedaromas pages. The winner will be announced on Instagram on Friday so you don’t have long! Get entering and remember even if you don’t win look after yourself this summer!